As I write this, it is my first full day of summer vacation. Year eleven is officially in the books, and what a good year it was. For the first time in a long time, I didn't end this school year barely crawling across the finish line; but, instead, I crossed confidently with my head up - even feeling like I could keep running if I had to, but still grateful for the chance to rest and cool down since it was offered. I am excited for some time off this summer, of course, but I'm also inspired and enthusiastic about next year. It's a great way to end. It hasn't always been this way. Just a year ago, I shared about the crazy, out-of-control cycle I'd gotten myself caught in as a teacher. Year ten was one of my hardest school years ever, and I found myself overwhelmed, stressed, and even considering other careers. I'm happy to report that - thanks to a fresh start, a lot of prayer, and the amazing tools and tips I gained from being a part of the 40 Hour Teacher Workweek Club this year - I finally stopped that cycle. The transition from full-time teacher to full-time stay-at-home-mom in the summers, is something teacher-moms don't talk about nearly enough. Don't get me wrong, this time at home with my kids is a blessing that I don't take for granted, but the initial shift can be hard. 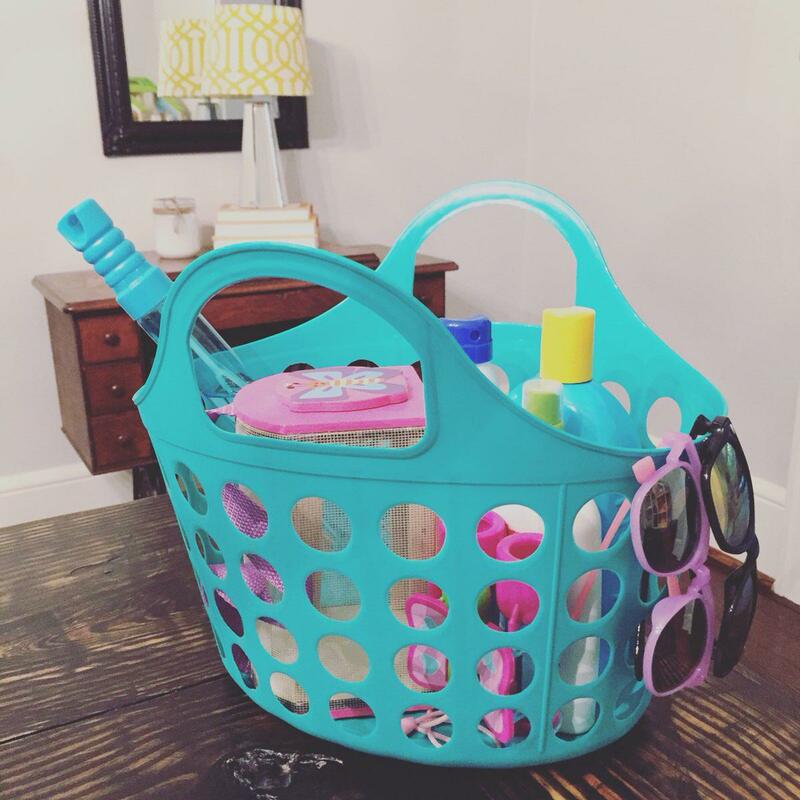 During the school year, our home (mostly) runs like a well-oiled machine - we have no choice but to stick to a schedule and stay on top of things like homework, meal plans, and laundry; but, in the summer, it's easy to let a few days of well-deserved "relaxation" turn into a MESS of neglected chores, pajamas all day, too much screen time, and no real opportunities to re-charge. I've spent too many Augusts looking back on my summer and feeling like it was wasted - there are too many things not checked off on my "Summer To Do List" and way too many missed opportunities with my family. Can you relate? Now, thanks to the lessons and strategies I learned during the school year from the 40 Hour Teacher Workweek Club, I'm determined to stop that crazy summer cycle, too. With that in mind, here are five strategies from the 40 Hour Teacher Workweek that I'm planning to adapt and implement at home with my kids (Sam, almost 7, and Nora, newly 3) this summer. Join me? 1.) Have an End of Summer Vision and be realistic about what you can accomplish during the "time off." Angela just introduced the concept of the End of Summer Vision in my June Club materials, and I love it. In fact, the other four tips I'm going to share really stem from this one! 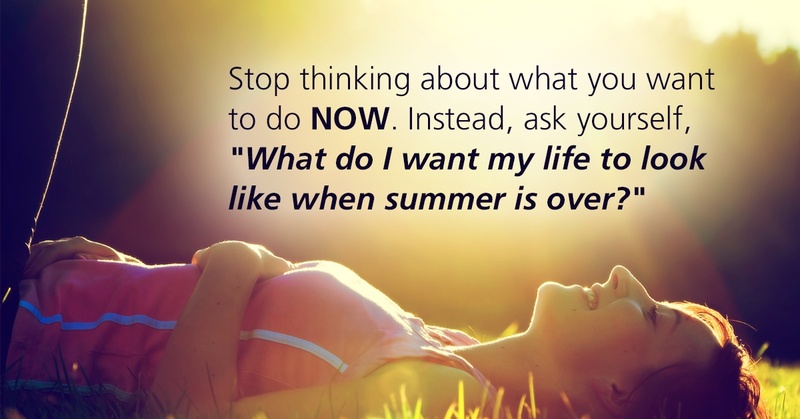 Basically, she encourages teachers to stop thinking about what they want to do NOW; and, instead, to ask themselves "What do you want your life to look like when the summer is over?" Then, from there, we must be realistic about what we can ACTUALLY do with the time we have, and celebrate small victories along the way. KIDS: I want to have been present for the summer with my kids - not so busy doing chores or work or playing on my phone that I miss just being with them. HOME: I want to organize the clothes in my basement that the kids have outgrown and donate or sell them. SCHOOL: I want to have a detailed "sketch" of the school year for each of my three classes that make me excited to get started teaching and planning. SELF: I want to develop the daily habits of exercise in the morning and reading before bed. 2.) Develop some basic routines, systems, and rituals. I like my summer to feel "free," but I also realize that a little routine and structure go a long way in our home. My kids, and me, really benefit from having a loose schedule built into our day. For example, this summer, I'm planning to wake up at 5:30AM every morning (thirty minutes later than my school-year wake-up time) to have my coffee and do some reading/writing in a quiet house. Then, while my husband is still home and - if I'm lucky - the kids are still sleeping, I plan to go for a short jog/walk, then come home to shower and get dressed. I find I'm way more productive and our days go a lot smoother if I've done these three things by the time my kids wake up between 7:30 and 8:00 when I need to be fully "on" as Mom. Also, let's be honest, if I don't do some of this first thing in the morning, I will NEVER do it. As for the rest of the day, we will shoot to be out of the house for some kind of activity (playground, library, pool, etc.) around 10AM and home by 2:00 at the latest for naps/quiet time. (I try to pack lunches when possible, or we'll just grab something out if we aren't at home.) I'll use nap time to do things that are important to me (see point #3), prep for dinner, and/or work with my son on some extra enrichment things. Then, after nap, we'll spend some time playing together until dad gets home. At night, before I go to bed, I'll pick up the house, prep lunches, and plan for the next day so I can wake up already ahead. This schedule won't work out every day (duh), but it actually helps me relax knowing that there is a general plan for each day. 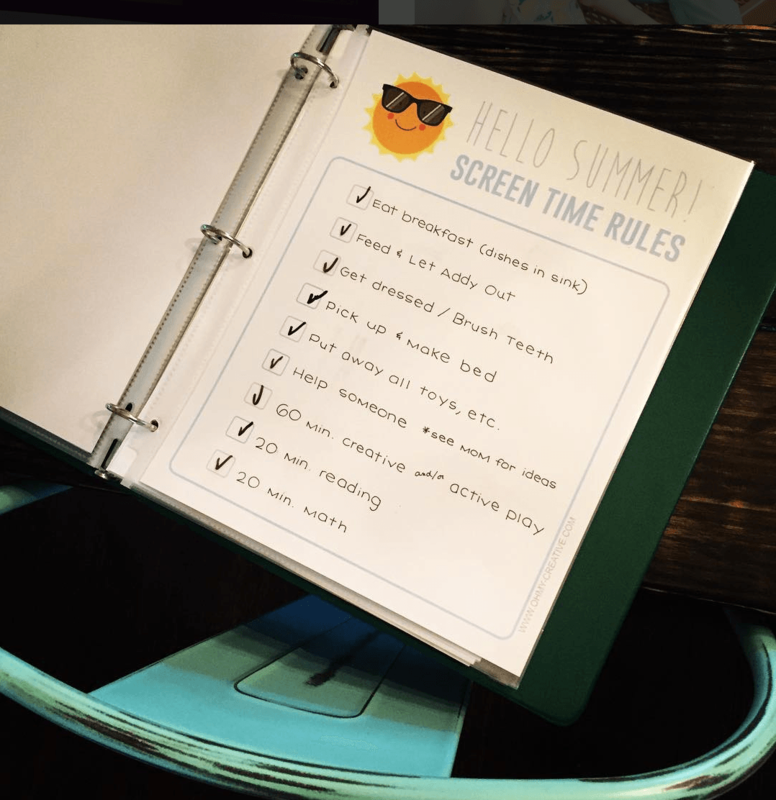 In addition, this year, for the first time, I'm also implementing a "screen time checklist" that encourages (forces?) my six-year old to complete a series of tasks each day in order to earn time (one hour in our case) on the iPad. 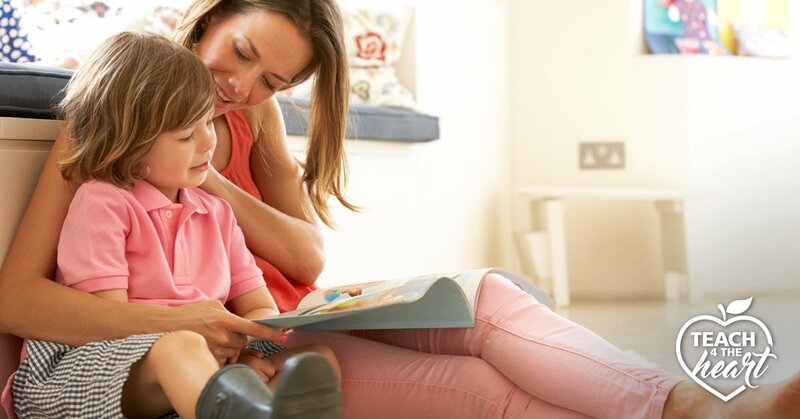 These include basic self-care things like brushing his teeth and getting dressed; household chores like feeding the dog, making his bed, and putting away his toys; and things like reading, math practice, and creative or active play. This checklist (I printed it and put it in a page-protector so he can mark off things with a dry-erase marker, which he loves) is just as much for me as it is for Sam. If I'm really being honest, it's way too easy to let him zone out on a screen if I'm feeling lazy or have something else I want to get done. This keeps us both accountable for our time and helps eliminate the chance to "accidentally" let four hours pass watching TV. Plus, it helps him learn to take some responsibility around the house, and takes a small burden off of me. Delegating is KEY. 3.) 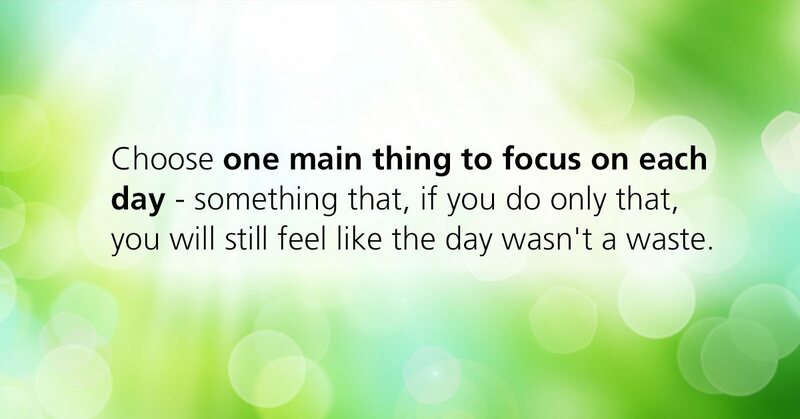 focus on one Main Thing each day, and do it FIRST. One of the biggest things I've learned from the 40 Hour Teacher Workweek is to find my main thing and do it first. So, between the hour or so I'm planning to carve out in the morning and the two hours(ish) while my kids are napping/resting, I will have some designated time this summer to do things I want/need to do. Angela really encourages teachers to choose one Main Thing they will focus on each day - something that, if you do only that, you will still feel like the day wasn't a waste. For example, I like to write, and my own blog gets neglected a lot during the school year, so I'm hoping to set "write a blog post" as a Main Thing for at least one day a week this summer. Other days, my Main Thing might be "go for a bike ride with Sam" or "finish and put away laundry" or "grocery shop and cut up fruits/vegetables." Whenever possible, I want these small things to be related to the bigger End of Summer vision mentioned above; but, I also realize that life with little kids requires a lot of "logistical" tasks too, and that's OK. The key is deciding what's important to me when and then DOING IT. That way, I'm in charge of my day instead of the other way around. 4.) Have a place for everything. 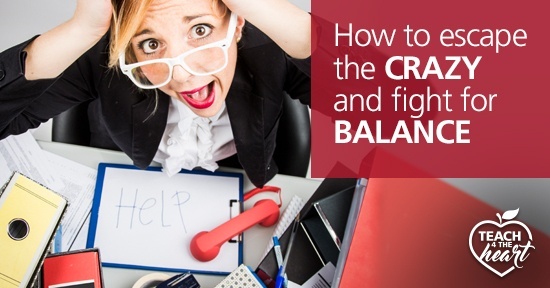 I admit that I'm a bit crazy when it comes to organization in my home, but I really do focus and relax SO much better in a space that is neat and tidy. (Messes make me feel overwhelmed and anxious!) Just like in my classroom, I've realized that one key to this is giving everything it's proper place. I keep a pool bag packed by the front door with towels, floaties, sunscreen, and toys. I keep a basket in the living room with library books and extra page parkers. We have a basket in our hall closet with soccer balls, sidewalk chalk, and and jump ropes. And, we keep bug spray, bubbles, and other "summer staples" in a little bin on top of our refrigerator. From there, I make a genuine effort (with the help of the kids) to put things back in their designated spot before we leave the house in the mornings - so we don't come home to a mess, and I can immediately get to whatever it is I want to do during nap-time that day - AND before bed every night - so I can wake up to a neat house and can enjoy my coffee and reading/writing time without thinking about the chores I need to do. Does everything look perfect all the time? Heck no! But giving everything a PLACE to be put-away really is half the battle, and - when it does work - the mental/emotional benefits (to me) of a clean space FAR outweigh the extra effort it takes to put things away in their place. 5.) Give yourself permission to rest and really "break" from work. Finally, remember that there's a reason teachers have breaks --- I liken it to a pilot or a doctor only being "allowed" to work so many back-to-back shifts without a night off -- we NEED them. Try as we might, we aren't actually super heroes. (Sorry!) Our job requires us to be "on" every day and we put in way more than the 8-hour workday we are actually at school. If the school year is our marathon, summer is the party with free food and two days spend laying around "recovering" after it. 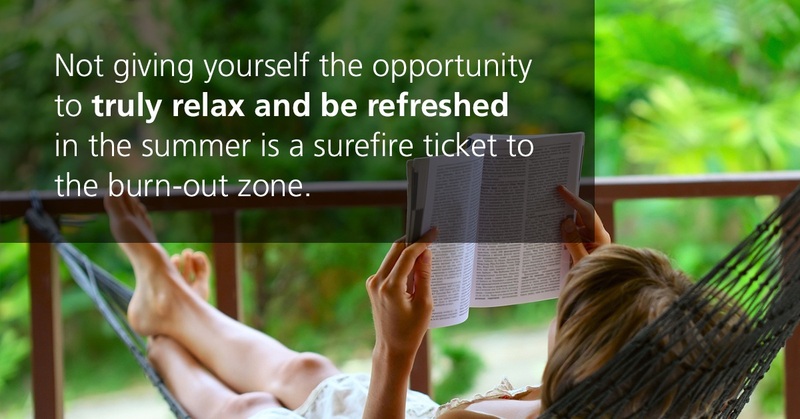 I think not giving yourself the opportunity to truly relax and be refreshed in the summer is a surefire ticket to the burn-out zone. As you saw from above, I'm fairly regimented with my time, even in the summer, but I generally set aside the weekends as time to sleep in, browse the mall, watch something on Netflix, and stay up late reading a book just for fun. These weekends are what allow me to be productive during the week and to go back to school in August feeling ready to go again! If you like and are energized by the chance to lesson plan or pin ideas for your classroom over the summer then, by all means, DO IT. But don't make yourself work over the summer just because you feel like you "should." Do only the things you truly enjoy and WANT to do for school over the summer. Trust me, all that stuff will still be there in the fall, and you will be a better teacher/wife/mother/friend etc. if you've given yourself time to be restored. Take a nap. Paint. Go on a hike. Let your kids watch an extra movie so you can drink an iced coffee on the front porch in peace, and DON'T feel bad about it. Try to see "Personal Development" as an investment that is equally as important and valuable as any "Professional Development" and remember that modeling self-care for your kids is a great gift to them!! So, there you have it! 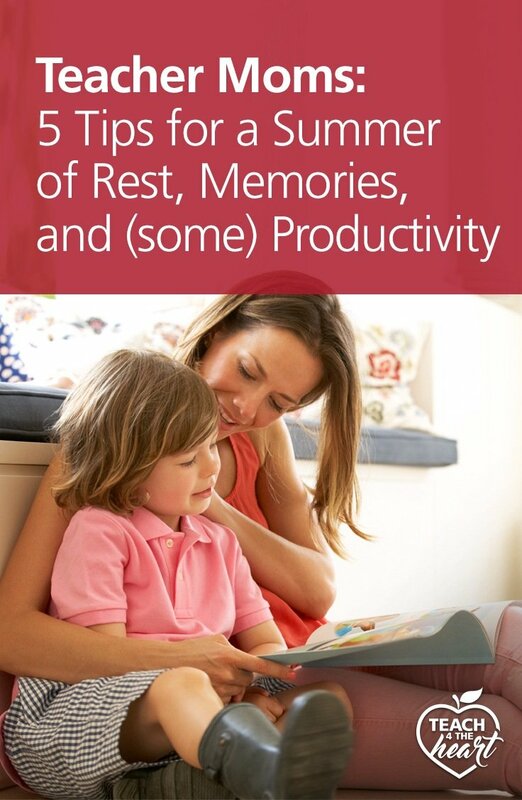 Here's to summers full of rest, memories, and *some* productivity! Enjoy! We partner with Angela Watson to spread the word about the 40 Hour Teacher Workweek Club because we believe it it AMAZING & have seen it work in the lives of so many teachers. If you enroll in the club after clicking one of the links above, Teach 4 the Heart will receive a percentage of your enrollment at no extra cost to you. Thanks for helping support Teach 4 the Heart in this way.